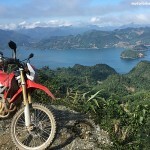 Northwest of Vietnam is always the wonderful choice for motorcycle touring in northern Vietnam. It is not only famous for amazing view of rice terrace fields (in Sapa and Mu Cang Chai…) but also attracts tourists with its colorful culture of hill tribes; besides, a motorcycle tour to Dien Bien Phu will give you chances to learn more about the Indochina war and understand how hero the Vietnamese people are! 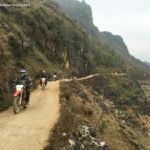 This 9 day motorcycle tour around northwest Vietnam offers you the full view of the northern mountain area of Vietnam and for sure it is a different Vietnam that many tourists who can not ride a motorbike couldn’t have chance to experience. It is a short motorbike ride but it could be the most enjoyable day. The road is almost quiet, smooth and the view is amazing. We will see plenty of terrace field, the local hill tribe can plant the rice on every piece of land on the high mountain. Mu Cang Chai is one of the best regions for motorbike touring in North Vietnam. We will finish the day early in Than Uyen town.